Are you struggling to design a landing page for your website? Landing page is a place where your visitors land (to put it simply), filled with contents to resonate with your visitors. Most important role of a landing page is to deliver right, concise and relevant information that visitors are looking for and provoke them to take a course of action that your landing page is designed for. So, landing page must be carefully designed. 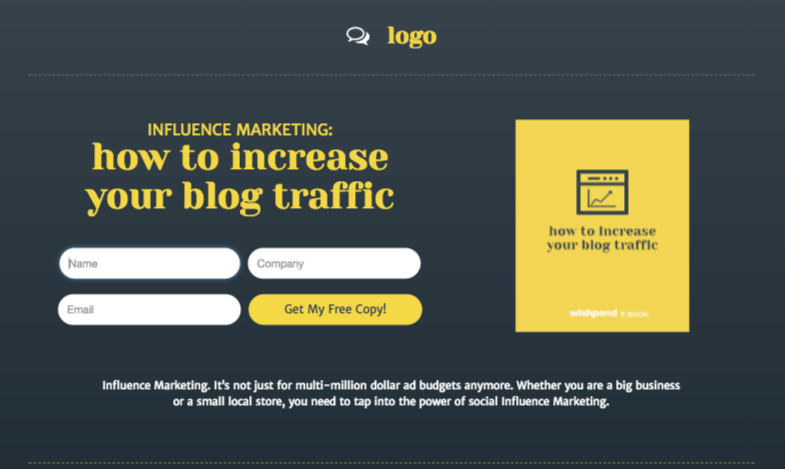 You will need a creative, attractive and beautiful landing page to increase the chances of converting your visitors into subscribers, or whatever your goal is. To do so, you can use plugins available!! But which one? That’s a good question. Credits to the growing technologies, we have fair numbers of plugins available. It is quite easy to get overwhelmed by the sheer number of plugins available. Just going online and searching for them can be bit intimidating. This makes choosing the right plugin difficult. 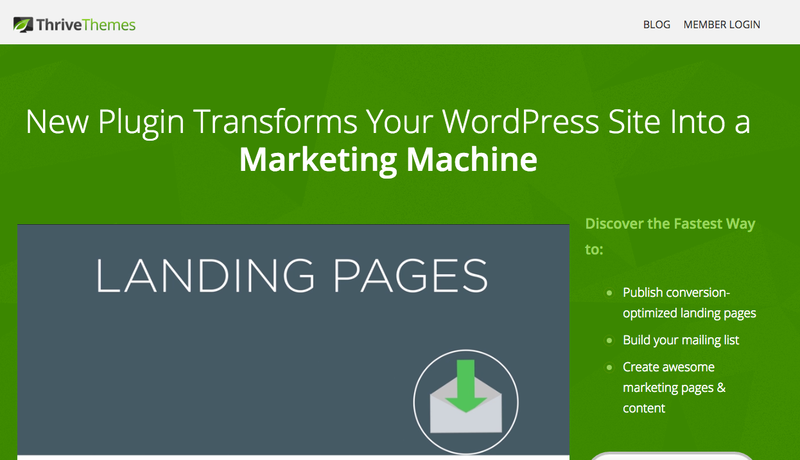 Thrive Landing Pages is a plugin that excels in creating landing page. Drag-and-drop option makes it easy for you to use and customize the look of your landing page. It includes testimonials, features product grid, countdown timer, call-to-action buttons and several other editable options. You can either design your landing page from the scratch or you can choose from one of over 140 templates. The best thing about Thrive Landing Page is it provide consistent theme. What does that means?? Most of the plug-ins comes with templates, but they are not consistent. If your website already has a theme and you are designing landing pages with different themes, the entire look of your website will look out of order. For example, if you want to send subscriber from thank you page to confirmation page then the entire feel will not be consistent rather it will all be different and random. But with Thrive Landing Pages, their landing pages are in sets, so they’ll give the visitor’s a consistent navigation experience. Price: $67 for unlimited updates and 1 year of support. It is an all-round plugin that enables you to create any type of page for your WordPress website. OptimizePress comes both as a WordPress theme and plugin. Based on easy-to-use drag-and-drop functionality, it comes with over 30 different design templates. Since, it allows you to keep the look and feel of your landing page similar to that of your main page; therefore, it maintains consistency of the website. If you want to use this plugin with your present theme, you can do that easily without compromising your current theme. You can either use a new template or create new design from scratch. It integrates easily with other platforms like MailChimps, Optimizely, Google Analytics and other platform to make your work easy. Pages built are mobile ready and responsive. Unlike other plugins, it allows to apply effects to specific part of your page rather than the whole page. It empowers you with multiple sections support that means, it allows you to customize various parts of the landing pages with different fonts, color or background. It can generate QR codes for offline campaign. And as an icing on the top, it features “Page Analytics” to provide an insight of page performance. It also gives you a great front-end editor for adjusting those cards according to your requirements. With drag-and-drop functionality as well as its extensive collection of customizable cards makes a deadly combination, rendering it as a tough competition to most of the other plugins. All landing pages created are fully responsive as well as mobile friendly. Another best feature is: no design or coding skills are required. Fully drag-and-drop feature and front-end-editing simplifies user experience. 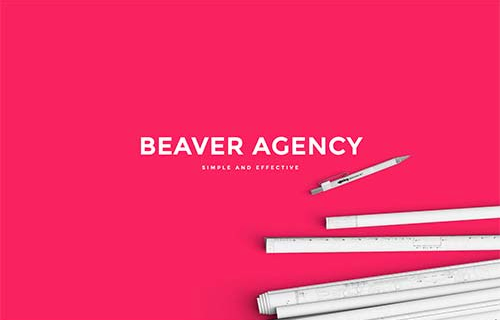 This is a great plug-in that helps you in building beautiful layout of landing pages with its set of content modules. It provides you with entire set of landing page building functionalities. It offers third party widgets and short-codes for creating layout easily. The best thing about this is it supports almost all the WordPress themes. You can even see real time feedback of your design. Full drag-and-drop feature eases your hard word while designing. It supports creation of responsive landing pages. It is optimized for both mobiles and tablets. You can build customized landing pages or use built-in landing page templates. Share your work with others or reuse the existing ones. Obviously, landing pages are really important. It might have occurred to you that creating plugins for such a task must be a daunting job. So, expecting any plugin will be available for free will be a stupid idea. Well, yes that is stupid. But still this is the one plugin in the list that is available for free. Even though it is free of cost, still you will have to pay in term of its functionality. As expected, it will not be offering you excellent functionalities as compare to others. Still, it is good option for others who are in just for testing waters. It offers visual editor, pre-designed templates, conversion rate tracking and many other add-ons. It is not just a plugin but a landing page optimization platform offering WordPress “Connector” plugin that eases landing page development process. According to them, Lead Page is the fastest platform for building landing pages. Some of its features includes: more than 70unique and impressive templates, which also offers you with an offer to create your own template as well. You can also turn 404 pages into creative landing pages using this plugin. Its compatibility with Facebook, makes it easier for marketing campaign. If we talk about popularity, this is the plugin!! With over 400,000 downloads of all time, WordPress Landing Page is rated with 3.6 stars. It is absolutely easy to use. You don’t have to be a programmer in order to use it. WordPress Landing Page also provides visual editor functionality to see the chances you made while designing in real time. You can also track your conversion rate with its reporting functionalities as well. Similar to other plugins, you can work with previous theme of your website or choose from existing templates designs. This plugin is a perfect blend of features keeping skilled developers as well as novice users in mind. Even if, the features you are looking for is not present in WordPress Landing Page, the team of Landing Page will be more than happy to undertake your custom requests. It is different from rest of the plugins in this list. It is exclusively designed to create only one kind of landing page and it does that really perfectly. There’s neither drag-and-drop functionality nor massive list of templates. What???? Yes, that is correct. Still it is very useful plugin. How?? There are so many times when certain part of your website is still under construction. What would you do, if your visitor’s accidentally come across that page? That’s when Coming Soon Pro will come to the rescue by giving access to client via a special link. A free WordPress plugin that will let you create unlimited number of landing pages, forms and pop-ups. You don’t need any coding skills, it just requires basic drag-and-drop to design amazing forms. Or if you are not feeling that creative choose from 50+ predesigned templates. The only catch with the free plugin is it will only let you capture no more than 200 leads. Always remember, landing page must be designed keeping only one and clear purpose in mind. The key with landing page is to provoke your visitors to perform the action rather than wandering around looking for something to do. Each one of the above plug-ins is capable of doing a great job, all you have to do is to lay down your requirements and accordingly choose the one. Harness the power of plugins and make a landing page that is best for you. Was this ultimate list for plugins were helpful to you? Drop your thoughts in the comments below.